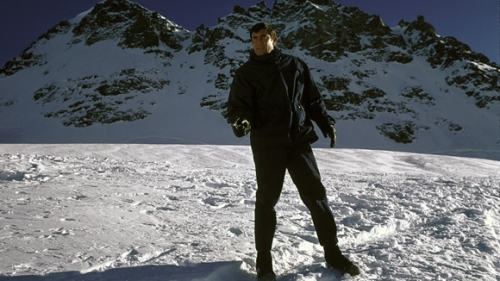 George Lazenby steps in for Sean Connery in his lone foray as James Bond and acquits himself as a more open and vulnerable 007. On Her Majesty's Secret Service boasts the only time Bond ever falls in love and gets married, to Tracy Di Vincenzo, played by Diana Rigg. Stunning locales in Spain, Zurich and the Swiss Alps find Bond infiltrating Blofeld's mountaintop retreat, encountering Blofeld's cadre of hot female assassins (and bedding a couple of them), and culiminates in a bravura ski chase, followed by an action packed seige of Blofeld's fortress. Telly Savalas creates a much less comical Blofeld than is seen in Connery's Bonds. Many of the elements Casino Royale was praised for: Bond's recklessness, underreliance on gadgetry, tragically falling in love with a woman, were trailblazed in this film. The action and editing has a swinging 60's vibe and energy to it while the story stays admirably true to Ian Fleming's original novel. For my money, one of the very best Bonds of the entire franchise, unfairly unseen by most.